I had a meeting today at our provincial house, Saint Paul’s Retreat, Mount Argus (above). I left Glasgow at eight o’clock this morning and was back here at ten o’clock tonight. 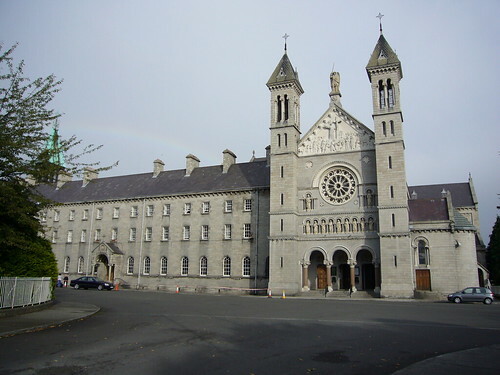 Today in Dublin was the feast of Saint Laurence O’Toole; it was also the ninety-first birthday of Father Andrew, who is the oldest man in the community. 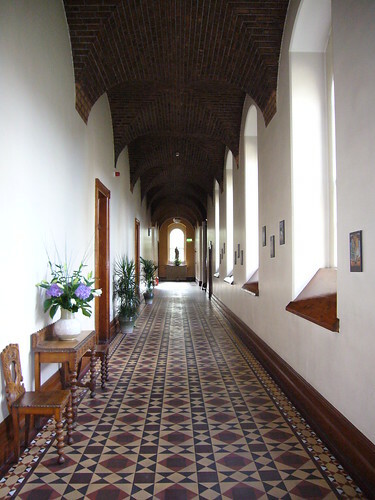 Here is a picture of the inside of the monastery; I took these on the day of the 150th anniversary celebration last September, which explains the flowers! The meeting was on our Passionist charism and spirituality; we met in the “Long Room” on the ground floor, gathered around the table shown below. 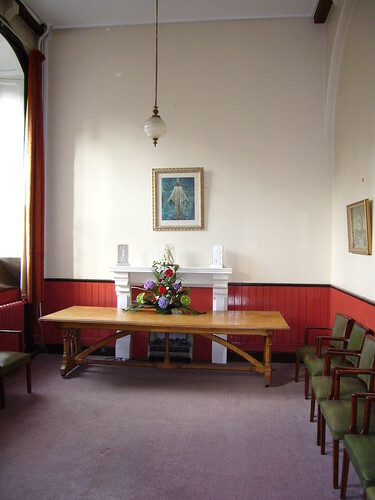 In this photograph, the table had been turned sideways, as on the anniversary day the room was used to receive the President of Ireland, Mary McAleese. 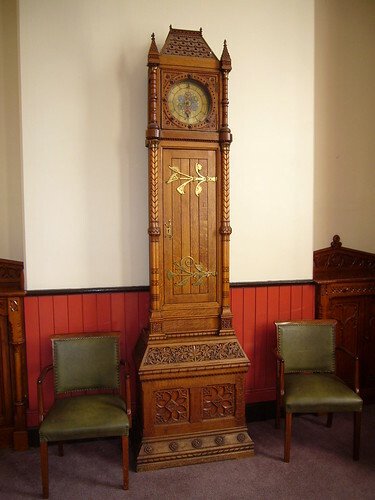 The case of this fine clock in the Long Room, like the table, is said to have been made by the brothers of the community when the house was first opened. You can see more Mount Argus pictures here and here. When I returned home tonight, I went across the street to the hospital to see my father; he told me that he will probably have his pacemaker operation tomorrow afternoon; please remember him in your prayers.